Both photos featured here are photos taken at a sports school in Georgia(2004). In both, the human body is revealed in its extremity, in its highlighted moment. With his delicacy and mastery of light and form, Meskhi brings beauty to this neglected environment, revealing what is almost a transcendental sphere. 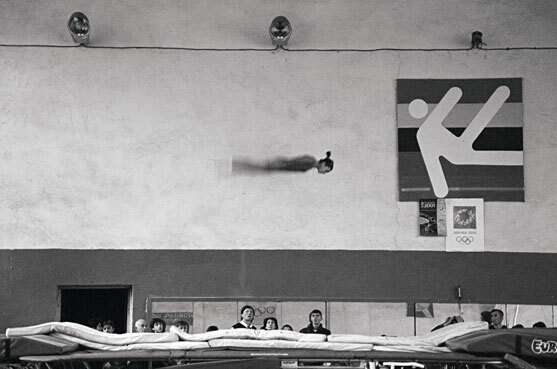 Meskhi tells of his personal connection to this school, where his father was employed as a trainer: "It was important for me to make the kids in the school believe that they are kinds of heroes in my photographs". In the act of photography Meskhi attempts to bring hope where it is lacking.